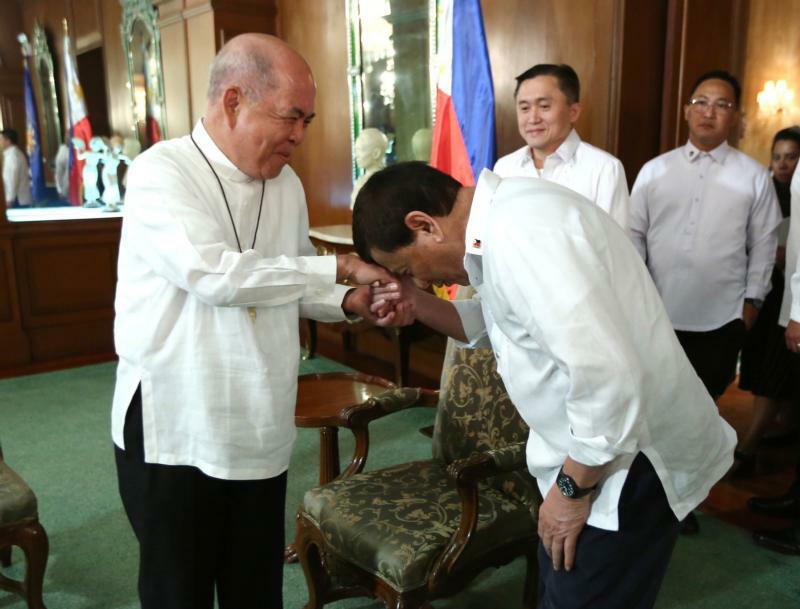 MANILA, Philippines (CNS) — Outspoken Philippine President Rodrigo Duterte is to curb his tirades against the Catholic Church after agreeing to a moratorium on statements deriding priests and bishops. Duterte’s meeting with Archbishop Valles came after the Catholic bishops’ conference released a statement lambasting a wave of killings over the past two years. Archbishop Valles, who is known to be a friend of Duterte, said he did not prepare an agenda for the meeting.